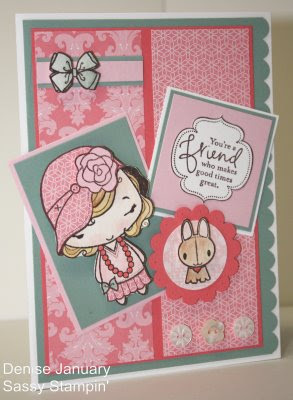 Color Throwdown: CTD37 Featured Stamper! I thought her little Anya, combined with the Mojo sketch, was just a real cutie! All the details she put into it made it truly a "Sassy" sensation! 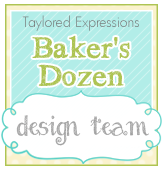 Denise, just email me (go to my blog) and I'll give you a little blinkie to show the world you're a CTD Featured Stamper! Thanks again, everyone--we love all your creations and can't wait to see what you come up with this week with Broni's challenge colors! Congratulations, Denise!!! Your card is absolutely adorable!!!! WTG!!! Congrats Denise - what a great card! Congratulations, Denise! I love your card!! Thanks a million! This is a GREAT surprise! I always have a blast with the color combos I find here! Congrats Denise! This is one fabulous card!